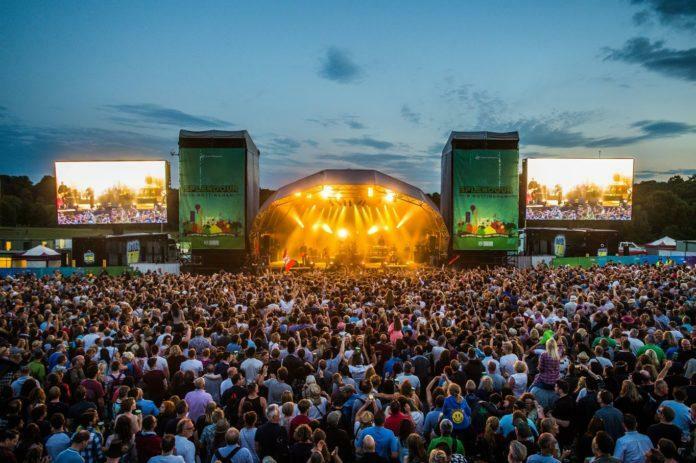 Nottingham’s Splendour Festival has long been renowned for its unbeatable line-ups, family-friendly nature and wondrous surroundings. Since its establishment back in 2008, the festival quickly went from strength to strength, becoming the city’s most highly-anticipated weekend. Now, ten years on, the festival has reached its peak, attracting a line-up of industry-leading artists and entertainers who grace its stages year after year. This year is no exception, with an eclectic combination of household names and up-and-coming talent set to take centre stage in leafy Wollaton Park this July. There’s plenty going on at Splendour Festival this summer, but the pièce de résistance is undoubtedly its so far incredible line-up! Nowhere is this better exhibited than on the Main Stage, with headliners taking the form of some of this year’s most celebrated artists. Perhaps most notably, Paloma Faith will be headlining the Main Stage, shortly after the release of her fourth highly-praised album, The Architect, in 2017. Joining Paloma as headliners of the main stage will be none other than English indie rock band, The Charlatans, who have been blessing us with hits since their early demos in 1988, marking 30 years for them in the business this year. The Confetti Stage is where Splendour celebrates the slightly more alternative music scene, encompassing artists who seek to represent genres from Brit-pop to folk punk. Speaking of which, headlining the Confetti Stage at this year’s Splendour is rock band The Stranglers, who emerged into the public eye during the punk rock era. Joining them will be alternative rock band, Embrace, as well as indie rock quartet, Peace. As if this stage wasn’t already shaping up to be an auditory masterpiece, also taking to the Confetti Stage is folk punk band, Ferocious Dog. As you can see, the Confetti Stage is set to be quite the spectacle! As the name suggests, the Acoustic Rooms Stage is where Splendour takes things down a notch in favour of some more relaxing vibes. This stage celebrates all things acoustic, featuring a performance from soul singer/songwriter, Nina Smith, and previous Bastille support act, To Kill a King. Many of the Acoustic Stage performers are still to be announced, but already revealed is up-and-coming acoustic musician, Soham De, who is definitely one to watch! While many of us go to festivals for the musical line-up, it’s always good to know that there’s plenty else to keep us entertained if we need a bit of downtime. Splendour organisers have catered for our every mood with the inclusion of a comedy stage, the perfect place to retreat to if you want to take the weight off. The comedy line-up is as extensive and varied as it’s musical alternative, and kicking off the comedy is none other than comedic double act Brian & Krysstal, who – since meeting at The Edinburgh Festival in 2000 – have been splitting sides ever since! Joining these guys on stage will be “quick-witted banter merchant” Dave Twentyman, previous Rhod Gilbert support act, Andrew Bird and many, many more. As if there wasn’t already plenty of stuff going on at Splendour to keep us entertained, festival organisers are making every effort to keep the whole family amused from start to finish. Elsewhere at the festival, revellers will be kept occupied with an independent market and stall area, a kids’ funfair and activity area, and the ultimate festival must-have: a silent disco!